A lot of women (and men too) suffer from excessive amounts of stress and neck related trauma that is primarily caused by poor posture and muscular weakness in and around the thoracic spine and neck. These tissues get stretched constantly from our pre-occupation with social media, computers and a constant forward lean at our jobs. If you find the picture below funny, then you may want to be wary, because this could be you! This bad posture stretches out the neck extensors and inhibit the neck flexors, both of which are just trying to do their jobs in keeping your head focused on the task at hand regardless of the line of action. Not to mention creating a huge amount of shear forces on the cervical spine, which the body tries to correct the problem by tensing up the traps, rhomboids and levator scapula to protect the sensitive tissues in and around the spine. This causes a lot of knots and tight muscles to consistently build up in that region of the body making it harder for you to move and work as they fatigue and get progressively tighter and tighter resulting in pain. Upon adding some heavy resistance training into the mix you can see these muscles being overused quite easily as they tend to try and compensate for overall muscular weakness in the mid-traps, lats and rhomboids. If certain muscles aren't being activated properly or are severely weakened the body will find a way around this problem by recruiting whatever muscles are available to use, even if it's not their actual job. Breathing patterns are also a heavy influence upon upper neck stress and pain. We tend to have very stressful lives constantly on the go with very little chance for relaxation and so as a consequence we've adopted a pattern of breathing through the chest that serves to keep us stimulated and aroused in a fight or flight scenario. When in reality we should be breathing through our bellies to help us relax more fully. With these three things against us in modern society there is some hope of relief in terms of foam rolling and soft tissue modalities that can at least help alleviate some of the pain and trigger points for the moment. Check out the five easy exercises listed in the video to help release the tension on your neck and traps. After the muscles are released you can manage to squeeze in a descent workout, keeping in mind that you want to try and avoid overall positions and exercises that are overly stimulating on these areas. 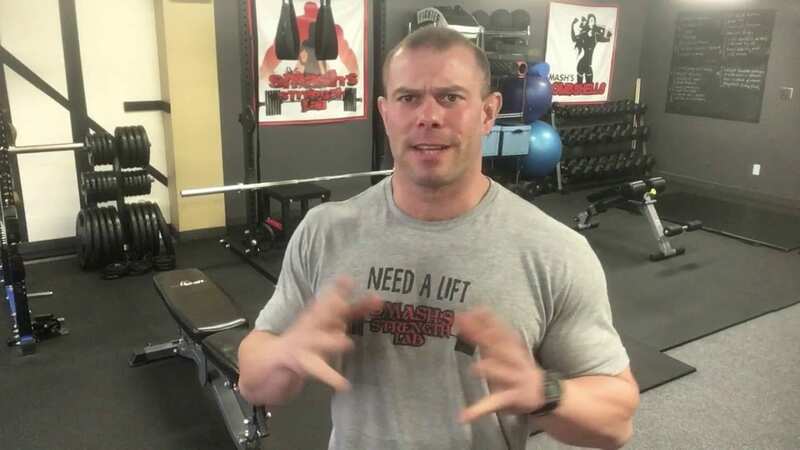 You may need to decrease the load and volume of certain lifts involving overhead and horizontal pressing work, while adding in more pulling exercises until you've corrected the pattern of dysfunction. Additionally, addressing the root cause of the problem --posture at work on the computer, texting, or anything where you're at an exaggerated forward lean for hours on end. Some common quick fixes for these scenarios are investments in ergo-dynamic chairs that help you maintain a good posture while seated, sitting on a physioball at work to enable your core to function all the time, adjusting your screen height upwards to eye level or perhaps even getting a standing desk. All these things will help to make you more functional and decrease the amount of stress placed on your neck and upper back.